B12 injected into the body ensures you are receiving the full benefits, completely bypassing the digestive stream. A common misconception is that vitamins are vitamins: as long as you incorporate them into your program, you will reap the benefits. It is true that in order to realize these benefits you must actually take B12, but there can be a tremendous difference in results base on how the vitamin actually enters the body. Ingested orally, the body’s natural stomach acids can break down the vitamin, nearly neutralizing any potential benefit. Worse yet, some digestive systems have been known to totally pass the pill through your body intact, totally negating your original good intentions. This direct source of B12 allows the body to immediately utilize the positive aspects of the vitamin. Being water-soluble, the B12 is usually discharged through the system after a 24-hour period, permitting the body to accept the next dose. Motivation is extremely important with any weight loss plan. B12 Injections have been shown to not only lift your mood and provide an energy boost, but also allow you to burn even more calories during your workout. Lipovite has been called “Super B12” due to its ability to offer the same positive weight loss aspects of Vitamin B12, with additional benefits. These medically prescribed injections are a very specific combination of the B vitamins and lipotropic amino acids. When entered into the body, the unique mixture of ingredients assists in using fat content from daily meals to be burned for energy rather than being stored in the cells. Choline: Found naturally in many foods, Choline is a nutrient that helps keep the liver healthy, reducing the risk of fatty liver disease. Inositol: When combined with Choline, Inositol forms a fat-fighting substance called lecithin, a product that helps the body redistribute fat. Methionine: This amino acid is known to stimulate the metabolism while increasing the ability to transport fat from the body. When these ingredients are combined together in Lipovite injections, they have been considered extremely helpful in providing an additional boost to break through individual weight loss plateaus. 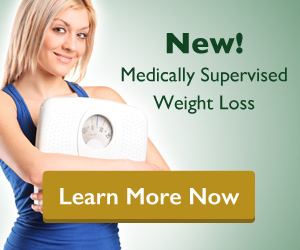 These lipotropic agents are an imperative component in breaking down fats and lipids. When available to the body, Lipovite helps consumed fat to be broken down efficiently, promoting it to be excreted via natural methods rather than stored. Lipovite can also stimulate the liver’s production of lecithin, known for its ability to break up cholesterol, moving it through the blood stream. This elimination of cholesterol from the body greatly reduces the risk of clogged arteries. When it comes to facilitating an increase in metabolic efficiency, B12 & Lipovite have also been known to greatly enhance the digestive process. More Restful Sleep: B12 assists the production of melatonin, a hormone that assists the body with rest. Healthier Liver: B12 significantly reduces jaundice and serum bilirubin, conditions resulting from damage to the liver. Formation Of Red Blood Cells: Proper levels help to decrease the risk of anemia. Detoxification: Fat-soluble toxic chemicals require B12 to be flushed from the body. In some rare occasions, vitamin B12 might cause diarrhea, blood clots, itching, serious allergic reactions, and other side effects. If you have any questions regarding B12 Injections that have not been addressed on this page, please Ask The Doctor by submitting your question on the form.